The loss of one of the most stand up and rock solid contributors and members of our community saddens and angers the entire Haight Ashbury Neighborhood Council membership. Our hearts and condolences go out to Georgia, Dimitri, Bobby and the whole Vardakastanis family. Gus: Comrade. Compassionate. Driven. Tireless. Assertive. Peaceful. Scrapper. Intelligent. Political. Generous. The Haight Ashbury was his home base, his grounding. 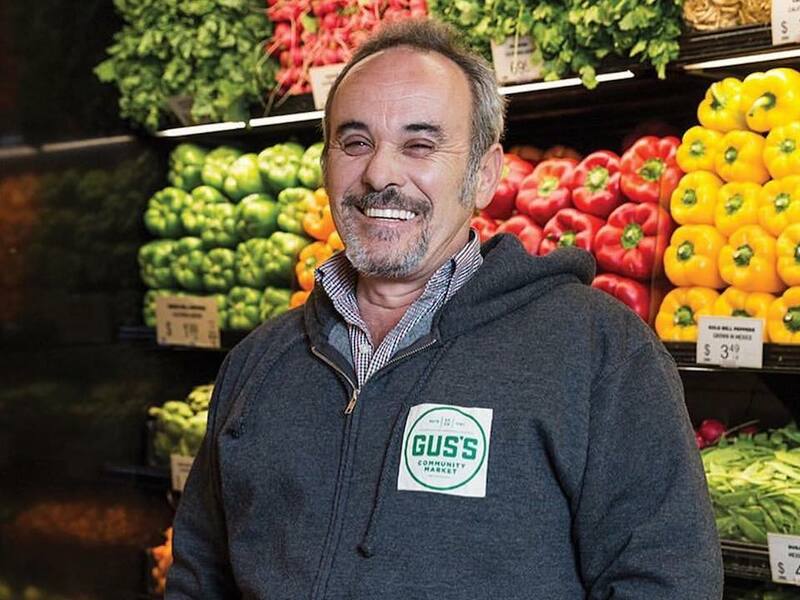 He made an investment not just for his livelihood but in this community and became an anchor for so many of us; a common glue that permeated the neighborhood. Every time you engaged him you felt his roots here. HANC's monthly (except August) general membership meeting is held downstairs at the Park Branch Library, 1833 Page Street (between Cole and Shrader) on the second Thursday of the month, beginning at 7 pm. Our meetinngs are open to the public and free to attend. The Haight Ashbury Neighborhood Council has participated in San Francisco politics since our inception in 1959. Our focus has always been on our neighborhood, but our neighborhood is part of San Francisco, and has always been affected by City Hall. At our September general meeting, we will provide an introduction to San Francisco politics, from HANC’s perspective, and want to give our members and our neighbors a chance to ask questions and to get involved. Are all the storefront vacancies you see on Haight Street part of the normal turnover or is there something else happening along the commercial corridor? The answer, of course, is both. Currently the most visible vacant storefronts you can spot are on the 1600 block where both Haight Street Shoe Repair and Kids Only (kids clothing & toy shop) were located. Both of those businesses saw retirements nearly 2 years ago but the building owner has failed to list either space for rent. Why? With two levels of housing above, the building is listed in the city’s Soft Story Retrofit database and requires a foundation upgrade by the city’s deadline for Tier 4 buildings: “STATUS: Permit Required by 9/15/18” reads its entry on the city’s program website. 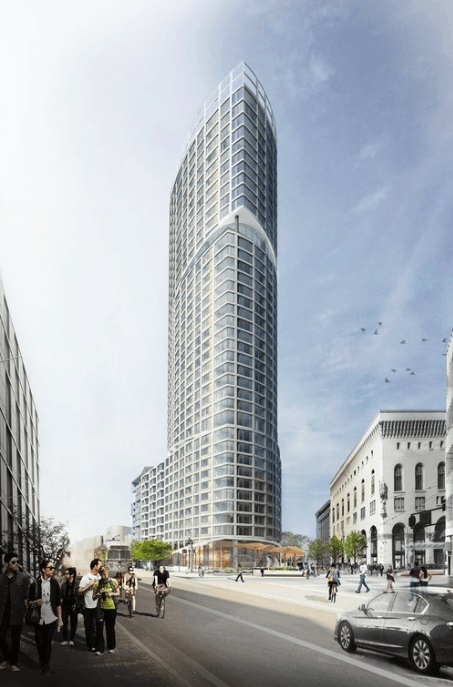 HANC is supporting an appeal against the approval of the One Oak high-rise luxury condo project. The City’s Planning Commission certified the environmental impact report (EIR) for the project on June 15, despite many objections from neighborhood organizations, environmental groups and San Francisco residents. Jason Henderson of Hayes Valley Neighborhood Association has appealed this approval to the Board of Supervisors, with a hearing on September 5 continued to September 12. So, what’s HANC doing getting involved in a condo development near Civic Center? There are two basic reasons: defending city-wide planning principles and looking out for the impact on Haight Ashbury residents. San Francisco enjoys its community participation in government and community services by creating a plethora of advisory bodies. Almost every commission has one and so do many programmatic services. In fact, many SF Police Department districts have community meetings to voice their neighborhood concerns to the stations. Here at Park Station they meet every third Monday of the month from 5:00-6:00pm. Perhaps you have heard this acronym before, CPAB. What is it? Who is on it? What does it do? What do they discuss? Community Police Advisory Boards or CPAB in San Francisco were created by then SF Police Department Chief George Gascon modeled after others around the country as a way for the community to chime in directly with various sections of the department. Here in SF, they were designed to advise the captains of each of the ten districts. Can San Francisco Really Become a Gigabit City? © 2018 Haight Ashbury Neighborhood Council (HANC). All Rights Reserved.